Since 1998 a group of charity volunteers in Mississauga, Ontario called Angel Hugs have been knitting and crocheting items for babies, children and adults that have suffered a severe trauma or serious life threatening illness. They also help young mothers at risk and the homeless. 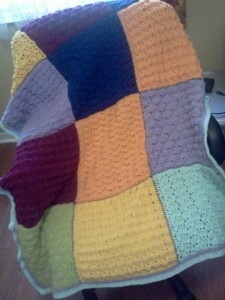 Together, they have donated almost 30,000 knitted, crocheted, and quilted items and counting! Native Children and Family Services: To provide a better life, well being, caring, and healing for children and families in the Aboriginal community. We interviewed Molly, the mother of a TWD staffer, and a very active member of this volunteer collective. 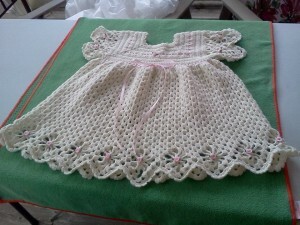 Molly proudly boasts of her addiction to crochet, and she generously gives of her time to make burial gowns for stillborn children and hospice afghans. Her mother, in her late 80’s also helps. The social component to the organization is also an added benefit for Molly, who is retired. 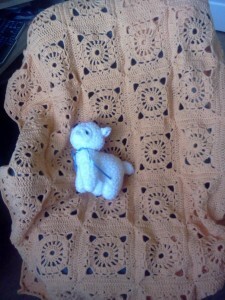 We asked her about volunteering to create these special garments. In terms of her hospice donations, Molly was moved by a recent hospice tour. She loved the great effort taken to make the palliative journey comfortable for family as well as patient. Knowing that her afghans are being used by palliative patients to give them a feeling of comfort in their final moments means the world to Molly. 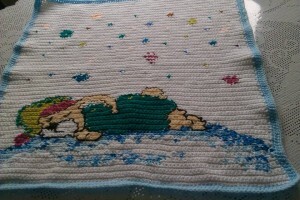 The fact that family can then keep that blanket as a sentimental comfort gift afterwards, also gives her great joy. 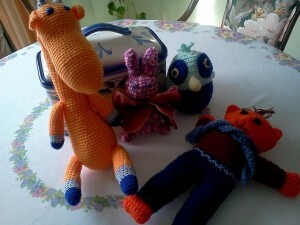 In between projects, to cheer herself up, she also makes cuddle toys for small children staying at shelters. We asked her what tips to consider when buying yarn to donate, she said that it takes a lot of the same type/colour of yarn to make a blanket. Instead of buying a wide variety of yarns, it’s best to bulk buy 1-2 colours/types to donate. How much? 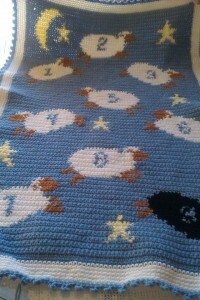 One VERY big ball of yarn, makes one medium sized plain baby blanket. To thank Molly and Angel Hugs for their touching work, TWD has donated enough yarn to make several baby memory blankets and gowns for her Angel Hug donations. < What Happens to Your Clothing Donations?